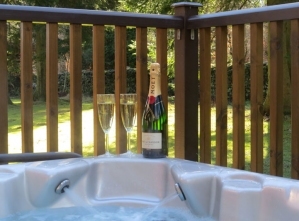 Luxury Fully Equipped, Two Bedroom Lodges with Hot Tubs in an Idylic Location. 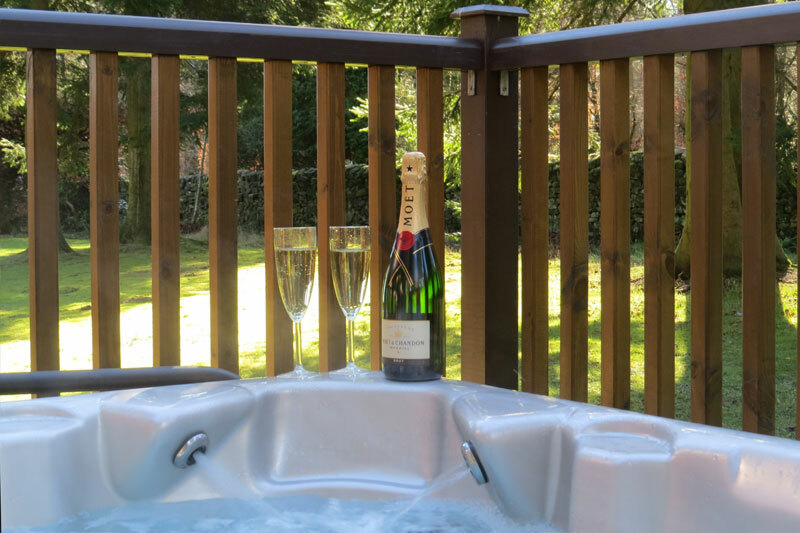 These luxury 2 bedroom, 4 person Hot Tub lodges are stylishly furnished and incorporate a master bedroom with en-suite, a further twin bedroom, a family bathroom and a spacious living space with a lounge, kitchen and dining area. 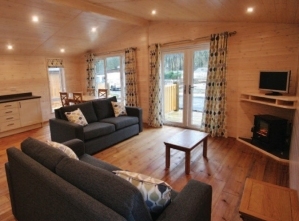 Modern kitchens include all the convenience of home with oven, microwave, hob, extractor, fridge freezer and dishwasher, the lodges are insulated to a high standard and include central heating and a focal point log effect fire so you will always be snug no matter what the weather outside. 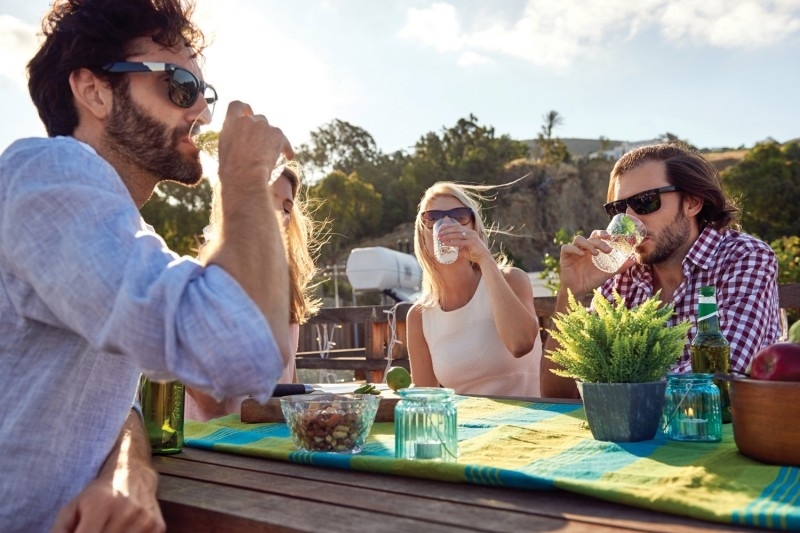 A get away break in the country is great, but this may not mean you want to be cut off completely from the outside world, so to that end, each Lodge includes two flat screen televisions (lounge TV with DVD player), a wireless speaker for blue tooth connection and wifi access*. 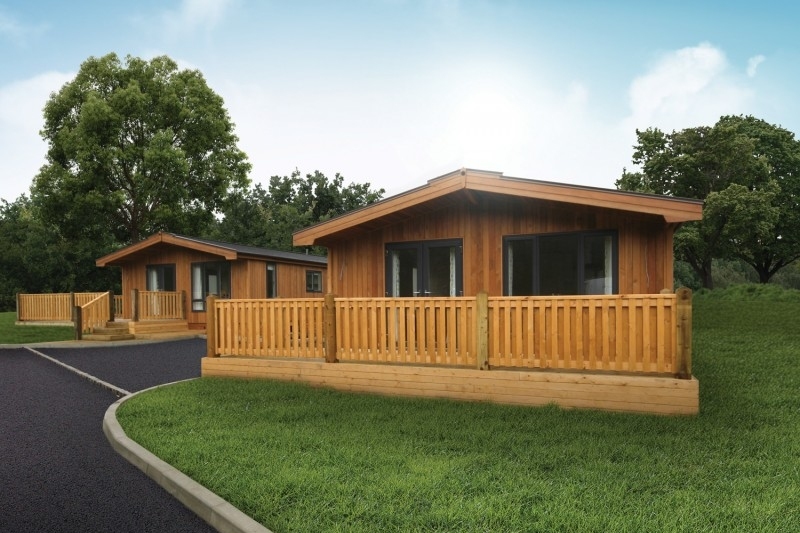 To the outside of your cabin you will find double aspect veranda’s with outdoor furniture for alfresco dining and your own outdoor hot-tub for the ultimate relaxation experience. Relax in the hot water and let the powerful jets massage away your stress. 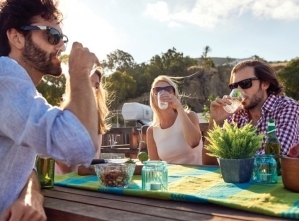 Hot-tubs are discretely positioned on the deck outside your lodge for your exclusive use. 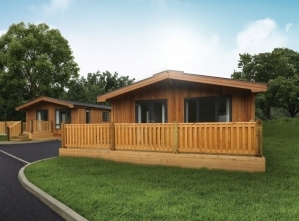 Your cabin comes complete with all you need for your break - toaster, cutlery, pots and pans, bedding & towels are all provided, just bring along any consumables you want during your stay and enjoy the luxury of the Dovestone Park experience. 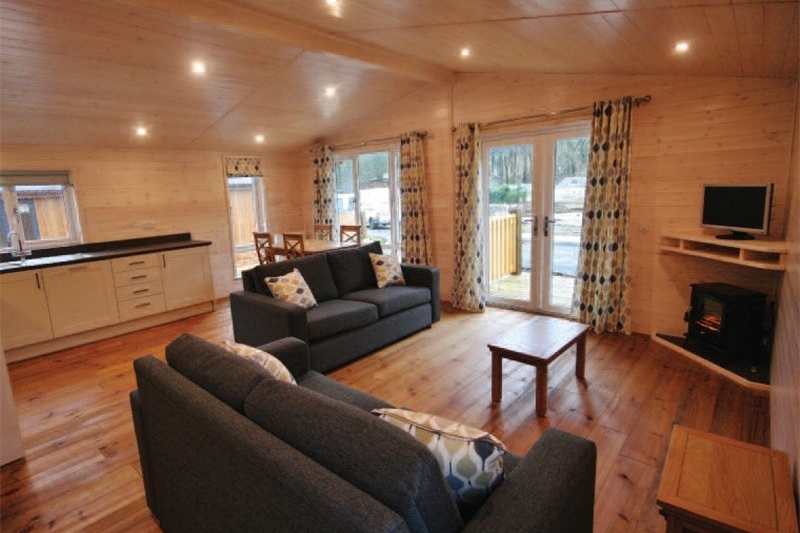 A tastefully furnished lounge area with TV, DVD player and Blue tooth speaker. * wifi access is subject to local conditions and cannot be guaranteed.